The German shipbuilder Meyer Werft laid keel of the cruise ship Norwegian Bliss at the official ceremony at their shipyard in Papenburg. The vessels with gross tonnage of 167,000 tons is scheduled for completion in April 2018 and delivered to Norwegian Cruise Line. The construction of the first of 90 blocks of the vessel in the covered building workshop gave the start to the construction of the Breakaway-Plus class ship. Norwegian Bliss will be the first cruise ship built on an individual order with features and characteristics for operations in the waters of Alaska. It is noted that this is already the 3rd vessel of the Breakaway-Plus class with a capacity of 4,000 passengers, as well as the 12th one built for the cruise operator Norwegian Cruise Line at the Meyer Werft shipyard. The first two vessels from Breakaway-Plus class already entered into the fleet of Norwegian Cruise Line. Norwegian Escape and Norwegian Joy feature with overall length of 325.90 m, beam of 46.50 m and draft of 8.62 m. The vessels have 20 decks and capacity for 4,200 passengers. The shipyard Meyer Werft in Papenburg was founded in 1795, owned by the 7th generation of the Meyer family (Managing Director Bernard Meyer). 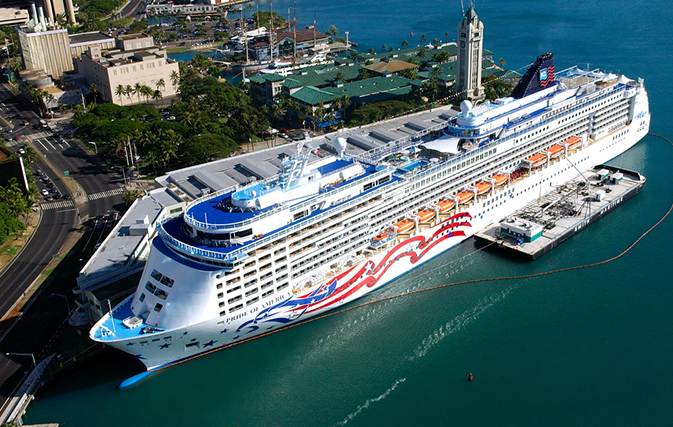 The company specializes in building large, modern cruise ships. To date, Meyer Werft has built 37 cruise ships. The shipyard also builds Ro-Ro ships for the transport of cars and passengers and tankers for the transportation of liquefied petroleum gas. The subsidiary division of Neptun Werft GmbH in Rostock is engaged in the construction of river cruise ships, as well as gas carriers. The staff of Meyer Werft consists of more than 3,000 employees. The company provided itself with orders until 2019.